Alaska steers 50% of its cannabis revenues to its common fund, and 50% to crime reduction applications. 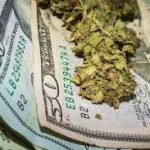 California utilizes its cannabis revenues for administrative fees associated to legalization, with additional funds going toward financial improvement, academic research, and youth applications. Colorado earmarks its cannabis revenues for education. Massachusetts pays for a variety of public security applications with the cannabis taxes it collects. Nevada utilizes its cannabis revenues for education applications and to supplement its rainy day fund. Oregon finances education and drug remedy-and-prevention applications with its cannabis revenues, with some going to nearby governments. Washington State utilizes its cannabis revenues for healthcare.